The Midwest Clinic - Teachers: Make Friends with a Bassoon! Clinic Synopsis: The bassoon is often least-known by instrumental teachers. This 50-minute clinic will allow 12 teachers (first-come basis, no bassoon experience necessary) to play on provided Fox bassoons and reeds and discover the bassoon is easy to play. At the end of the clinic they will play a simple ensemble. The goal is to encourage teachers to start young players on bassoon. Observers will benefit from the close-up PowerPoint displays which illustrate each detail of the presentation. 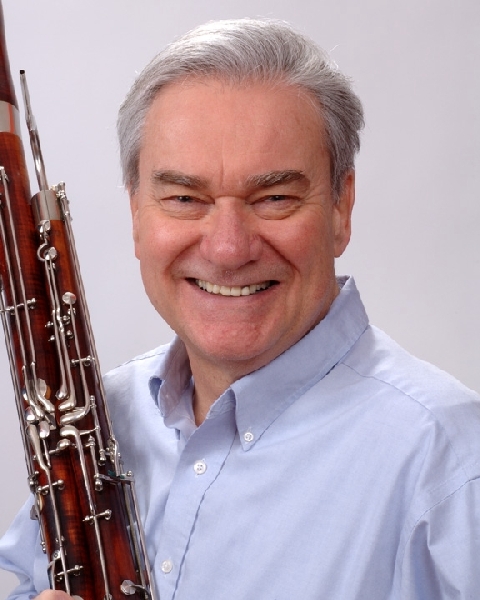 Clinician Biographical Information Christopher Weait is professor of bassoon at the Capital University Conservatory of Music in Columbus, Ohio and is emeritus professor of bassoon at The Ohio State University. He was co-principal bassoon in Canada's Toronto Symphony for 17 years under maestros Seiji Ozawa, Karel Ancerl and Sir Andrew Davis and appeared as soloist with them, the Chamber symphony of Philadelphia and with Keith Brion and His New Sousa Band. He has been a visiting professor at the Eastman School of Music and the Jacobs School of Music at Indiana University and has taught in Argentina, Chile and Canada. His recordings are on CBC, Crystal, d'Note, Innova and Lyrichord labels and is published in the US, Canada, Britain and Europe. In active retirement, he is publishing music and presenting master classes.